Dee Nutt once had her own sets of keys for two of the nation’s best known and formidable looking prisons, dealing with hundreds of convicted criminals and forcing the authorities to face up to the reality of drugs, violence, sexual behaviour and self harm behind bars. This hundred-mile-an-hour driving force is a woman of intelligence and determination for whom failure is not an option. To better understand the offenders she took a diploma in criminology – but would still baffle prison guards by hugging the younger prisoners and standing up to the more aggressive inmates. Her diminutive stature in contrast to their intimidating size and behaviour. 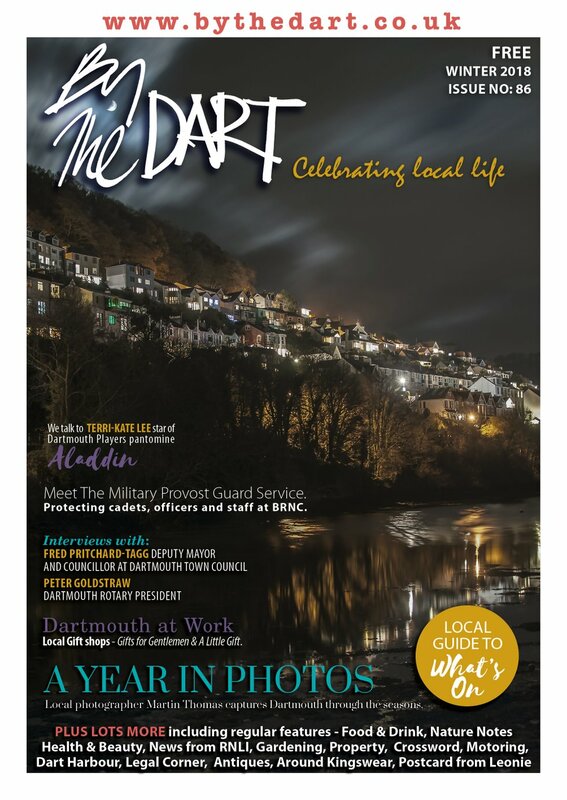 These days Dee is well known as the chairman of the trustees of Dartmouth Caring – a beloved organisation with a big heart that offers a lifeline to so many people in Dartmouth. Dartmouth Caring looks after those people in our community who need a helping hand. Traditionally this has involved caring for older residents – those who have been unwell, have had to go to hospital, are undergoing medical treatment, or are struggling to cope at home alone. The charity steps in with a team of helpers who offer shopping trips, transport, help with the gardening, a friendly face, a shoulder to cry on, a walk of the dog, company and a cuppa. Help is available with complicated forms, ensuring allowances aren’t missed. For many elderly people living alone in Dartmouth, or caring for a partner, the sense of isolation can be overwhelming – particularly if family are far away. Without a visit to the popular weekly lunch club in the Guildhall (60-70 people attend each week!) many would not see a soul from one week to the next. Now Dartmouth Caring has launched a new initiative which will broaden the caring umbrella – a free counselling service for anyone who needs help, even if they don’t understand why. The new service is part of Dee’s determination to care for everyone locally who needs it, regardless of age or wealth. As chairman of the trustees she is unpaid, but this tireless ideas machine is relentless in her campaign to raise her charity’s funds and profile. “Darmouth Caring works so well because we have fantastic volunteers but also a team of five professionals who are brilliant. They are of the highest calibre – people with degrees, masters, tremendous experience of working with the NHS, and who could earn so much more if they weren’t here with us. They are committed and amazing,” Dee said. 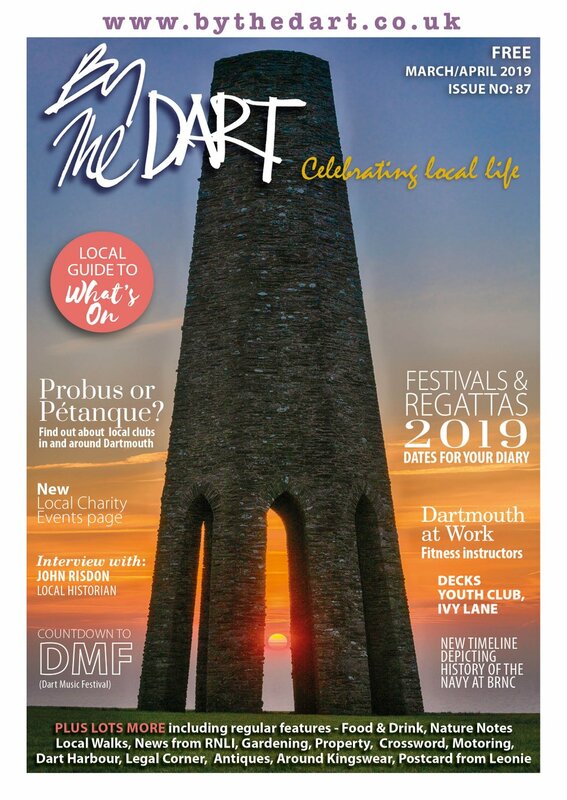 The counselling service is a departure from the traditional Dartmouth Caring way of operating, but according to Dee it’s a natural progression: “We live in an idyllic place but it is not fairyland – people here are dealing with the hidden problems of depression, alcoholism, drug abuse and abusive relationships. “I am very excited about this new service. I’m a great believer in counselling but waiting lists can be four or five months long unless you can afford to pay – and it’s expensive. Our service, which is based in the clinic in Zion Place, is free. Our counsellors are fully trained and will be professionally supervised. This is a pilot scheme and it is being evaluated by the Peninsula Medical School in Plymouth. Other new initiatives launched this year include a Health and Social Care Directory, a new post jointly funded with the Primary Care Trust which aims to keep people who don’t need to be there out of hospital, and a service helping with the practicalities of dealing with death. Dee’s distinguished background in nursing and care has taught her how important the human touch is when it comes to making a difference. That’s why Dartmouth Caring drivers on hospital runs not only take their clients from A to B but accompany them into the waiting room, help them deal with hospital staff and offer a friendly ear if the individual wants to talk about their treatment or diagnosis. Dee began her training as one of the “Nightingales” of St Thomas Hospital in London. She moved to Great Ormond Street Hospital and made her way up through the ranks, working at a number of different hospitals around London. By this time it was the 1990s and health awareness was the new obsession. It led Dee to prisons, working for the Sussex Health Authority at HMP Lewes. Her pioneering work at Lewes Prison, promoting sexual health, working with drug users and improving prisoners’ health, won awards. 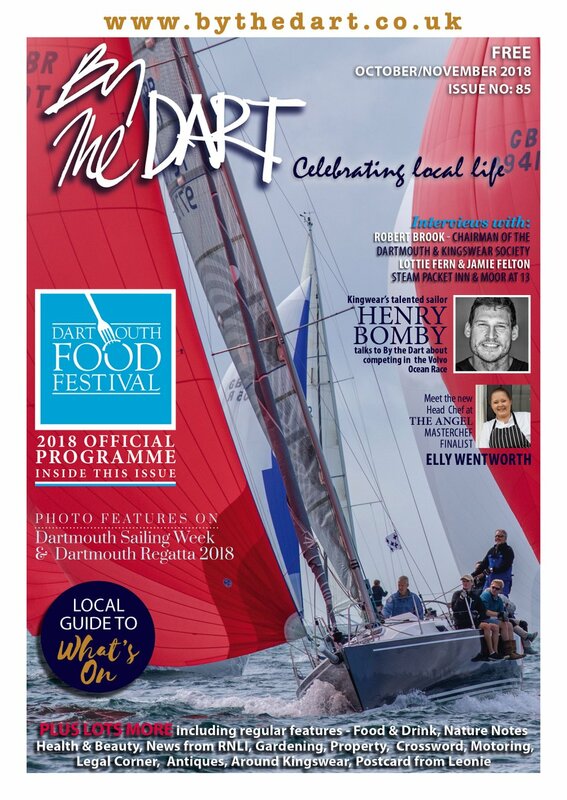 Dee and her husband Martin moved to Dartmouth from London in 1998 after being forced to shelter here for a week during a sailing holiday blighted by bad weather. By the end of the week they had decided to relocate and had bought a house. Dee became the chairman of the independent monitoring board of Exeter Prison, a post she held for seven years and which regularly took her back to London to Home Office committee meetings. In 2006 she took over as chairman of trustees for Dartmouth Caring.